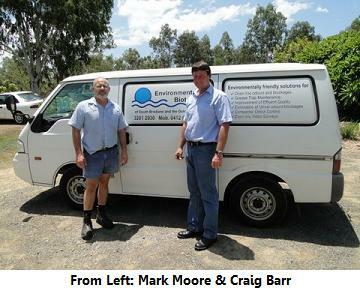 Service Area Covered: We are based in Brisbane and work from the Gold Coast to the Sunshine Coast. Our Franchise: We commenced in 1997 and have a large variety of customers from small coffee shops and night clubs to large shopping centres. We also service industrial food factories and have worked with a variety of industrial sites (e.g. rendering, gelatine, meat, chicken, seafood, cakes, biscuits pastries, etc) improving their existing treatment plants, anaerobic and aerobic ponds. My degree in industrial chemistry enables me to help clients with a variety of issues and to liaise with water authorities.